It was the fall of 2007 and I happened to brush my hand across my right breast and feel a strange lump. I didn’t just immediately think cancer, I was only thirty-four and it didn’t seem likely to me. I did have my mom and sisters feel it and I remember my sister saying, “That’s too big to be cancer. It wouldn’t have grown that fast.” She had no idea and was certainly trying to comfort me. Fast forward to February of 2008. I had finally remembered to book myself a mammogram on my lunch break from my day job. I never made it back to work that day. After hours of waiting, three mammograms and a sonogram, a radiologist came in and told me that what they saw was of “dire concern.” To say I was terrified would be an understatement. The next few weeks were almost a blur of appointments. My entire life had changed in the blink of an eye. 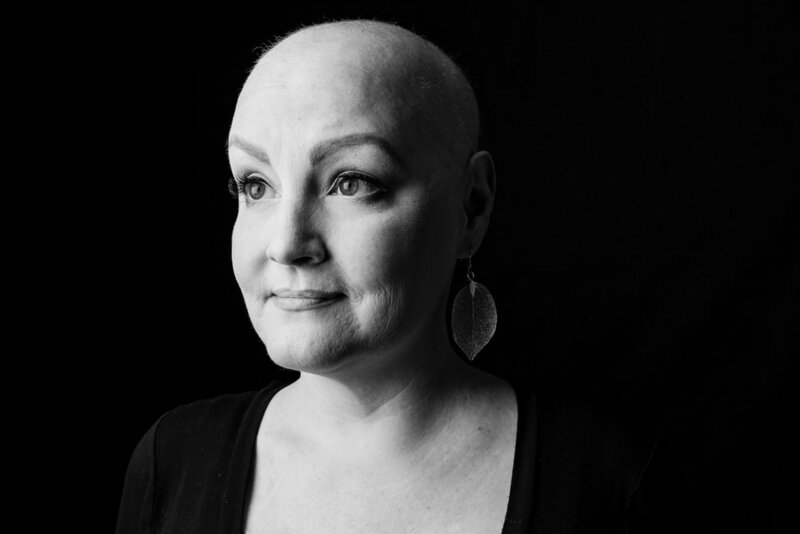 I had stage 3B Estrogen positive invasive breast cancer. I had one lymph node affected, so chemo and radiation were recommended along with a mastectomy. My oncologist and surgeon recommended a partial mastectomy but I was insistent they take both breasts. The next year and a half was all about cancer. I worked as much as I could and I had a pretty great support in my family and a few friends. I had a boyfriend that I lived with at the time who was good to me but I knew in my heart of hearts that if I didn’t have cancer we wouldn’t be together. I mean, who wants to be that guy that breaks up with their girlfriend while they’re going through chemo? Well I made it through that crazy intense year and a half of treatments and surgeries. That boyfriend broke up with me and I did my best to move on. I quit that day job because I hated it anyway and life is short. I felt a renewed sense of purpose. I wanted to be a jazz singer and I was going to make it happen. You see, I had been a professional actress for fifteen years already and had always secretly wanted to go my own way. Well over the next eight years I made that happen. I worked hard, got a mentor, listened to everything I could, learned what felt like a million songs, and became successful in my own right. In that time I met a man named Jeremy and we got married. I also had a hysterectomy at the recommendation of my oncologist so I’d never give birth. Jeremy has two children so he didn’t mind and I grew to feel okay about it. I have nieces, nephews, godchildren, and girls I nanny and they all know I love them. It’s enough. My older sister Ann tragically passed away on Christmas Day in 2014. We were extremely close, so 2015 was a blur of grief for me. Grief is a strange animal and it can make you stop caring about your own well being. I didn’t go in to see my oncologist at all that year and at the beginning of 2016 I knew something was off. My chest was tight and I was having weird pains around my hip and pelvis. I was scared to go in but I knew I had to. 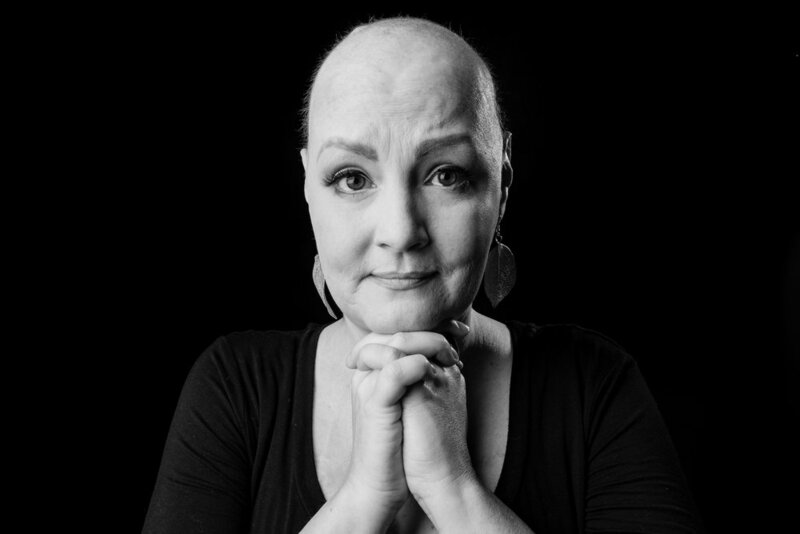 I’d been cancer free for eight years and at that point it all felt like a lifetime ago. Well, my worst fears had been confirmed. The cancer was back and it was in my left lung, and several spots in my bones. Stage Four. Those two words used to terrify me….Stage Four. Life had been turned on its head yet again for me but this time it felt different. I felt more settled, more “me” I guess. I had a husband who cared for me, my amazing family and friends, and this time, a whole community of people who came out of the woodwork to lend their support to me. I felt truly loved and lifted up by this and I felt my heart grow even more. I had a great two years on a brand new drug used for women with exactly my kind of breast cancer. It was a form of hormone therapy that allowed me to continue singing, which I did. I had always wanted to travel and I made sure that happened. I went to Paris, Florence, Rome, Mexico, San Francisco, Seattle, New York, Southern California, and I’m not done. Not by a long shot. I recorded my first CD, which was an absolutely amazing experience and I can’t wait to record more. My career has blossomed and grown. I’ve won some awards, played some great jazz festivals, I sang in New York in the Village, and I continue to sing nearly every weekend in Kansas City. I am blessed beyond measure. My cancer became resistant to that drug three months ago now and I’ve had to start chemotherapy again. It was a big adjustment but I feel supported completely by my husband, who is a saint by the way, and my community here in Kansas City. I’m singing as much as my body will allow. It’s good for my soul. I feel transformed by all this. I think many people who’ve faced their immortality, especially at a young age can relate to this. I have no idea what my future holds. Really, who does? I do know that I’m not afraid. I have my moments but I never stay there. I know that I am loved and I return that love tenfold. I live everyday with an open heart and I know that I can handle whatever comes. There’s a peace in that. My story is not over. Help support Molly as she begins chemo again by giving to her Go Fund Me ‘Molly’s Cancer Fund’. Read a few words from Molly below, and click the link if you’d like to give.